I have seen the goodness of God in the land of the living! Growing up as a little girl, I remember being fascinated with Bible stories. I would look at the beautifully illustrated pages picturing the well-known characters of old—Abraham standing with his eyes gazing up at a night sky glistening with countless, brilliant stars, or young David taking on a giant three times his size with bravery that could only come from above. These aren’t just stories out of a storybook. They are accounts of actual human beings like you and me, living life in a real land. We can fly over to Israel today, walk in the footsteps of Abraham and listen for the voice of God on the very same mountain where God first spoke the covenant to him. We can meander through the old city of Jerusalem, touch the stones of the Kotel and feel the prayers of all the saints throughout the ages who prayed in the shadow of the Temple. 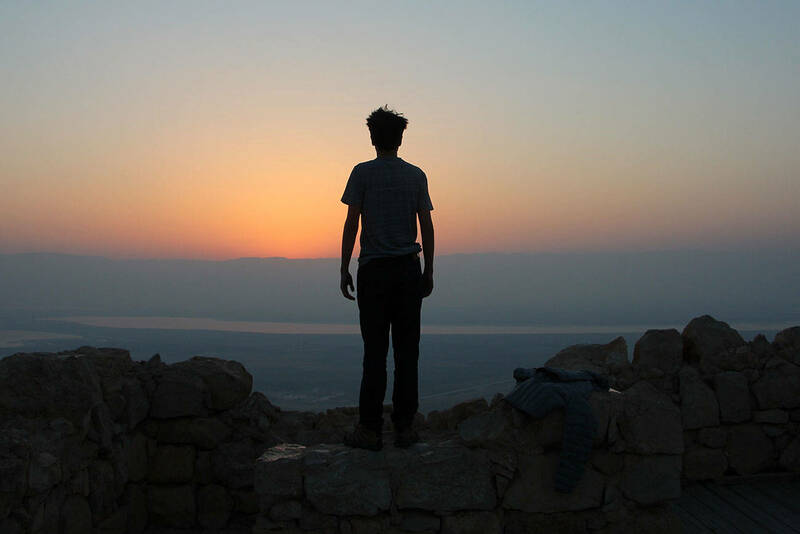 When someone has the chance to experience the land of Israel for themselves, everything changes. These stories that we grew up with suddenly become real before our eyes as we stand in the places where they happened thousands of years ago. We have access to witness the continuing unfolding of the story of the Bible today. When I landed at the Tel Aviv airport on my first volunteer trip to Israel, I didn’t know what the next three weeks would hold, or the extent of the transformation of my faith. Little did I know that I would return home a beautiful wreck because the Spirit of God ignited a fire in my heart for this land and her people. I could see God all around me in a very tangible way, unlike anything I’ve ever seen in my life. I saw Jewish men and women—the people whom God promised to bring home to this very place—praying with fervency for the coming of Messiah and redemption. I saw the desert blooming and the ruined cities rebuilt. I was overwhelmed at witnessing the reality of God’s kingdom coming to this earth in this place. It’s really happening. God chose Israel to be the theater for his worldwide salvation. As one who has joined herself to the God of Abraham, Isaac, and Jacob, I have been brought into this epic story, and as a believer in Messiah, so have you. In the world we live in today, many are questioning God’s existence. I have had friends ask me, “How do you know God is real?” I can say, and have said, with absolute confidence that I have seen firsthand the goodness of God in the land of the living—the land of Israel. I have seen him shine through the lives of the Jewish people I’ve come to know. Each consecutive trip I’ve taken to Israel has only strengthened this confidence in my soul that God is real. And because I’ve seen his supernatural hand on this national level, my personal faith has been built up more than I ever thought possible. The more we as Messianic Gentiles engage in the supernatural things God is doing in the land of Israel and the hearts of his people, the deeper our faith can go as we personally see him move in ways that are undeniably prophetic. Our faith becomes unshakable in a world that can be tumultuous. We do our part of building up Israel because we have been brought into the commonwealth of Israel  and have an invaluable part as members in God’s family to see her become a praise in all the earth. I’m in awe to think that we’re living in a generation where we are witnessing 2,500-year-old prophecy come to pass. Do you realize that? God chose to make his promises a reality in our generation, after many years of exile and desolation! As we live out a life of discipleship to Yeshua, we are to love the things he and his Father love. This includes the land and the people of Israel. As we connect deeply to Israel, our hearts are transformed to be like his, and we gain a fresh perspective in our walk as believers—his greater perspective. If God has this eternal intensity of love for Israel, shouldn’t it also be burning within our hearts? The disciples of Yeshua had it. As his modern-day disciples, we should also have burning hearts for Israel. Engaging with Israel strengthens our faith and our identity as being part of the family of Israel and strengthens the love of God within us when we learn to love what he loves. Additional verses: Deuteronomy 7:6-8, Psalm 48:1-3, Psalm 87:2, Psalm 102:13-16, Isaiah 33:20-22, Isaiah 62:1-7, Jeremiah 31:1-14, Amos 9:11-15, Luke 2:41-50, & John 2:17. Erica Nemunaitis is a Messianic Gentile, a passionate disciple of Yeshua, and zealous lover of Israel. She has spent many months serving the Jewish people on the mountains of Israel. She currently lives in Republic, Missouri.